WILLEMSTAD - A team, consisting of representatives of the Curaçao Tourist Board (CTB), Curaçao Airport Partners (CAP) and the Curaçao Hospitality and Tourism Association (CHATA), as well as private-sector partners, recently travelled to the Messe Berlin exhibition grounds in Germany to participate in the Internationale Tourismus Börse’ (ITB) 2019. Curaçao’s aim in participating was mainly to build stronger business ties and to promote the island. 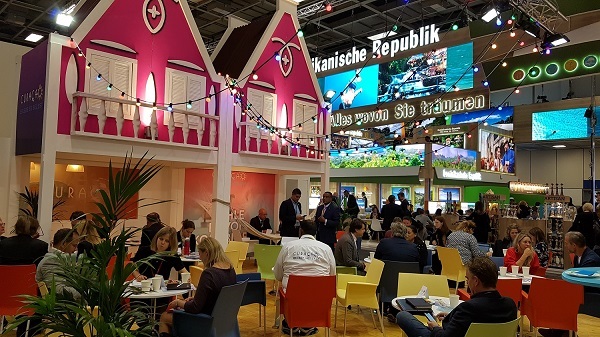 The ITB, now in its 53rd edition, is one of the foremost tourism business fairs. This year’s fair attracted over 113,000 visitors—a 3-percent increase compared to last year.